11:00 am-3:00 pm Test rides at the W Hotel, 200 Lavaca Street We'll be offering free URB-E rides - stop on by! 12:00-4:00 pm Test rides at the Driskill Hotel, 604 Brazos Street Find us in front of the Driskill Lobby entrance for free URB-E rides and info about URB-E! 11:00 am-3:00 pm Test rides at the W Hotel We'll be offering free URB-E rides - stop on by! Join our ridealong from 1-2:30pm! 12:00-4:00 pm Test rides at the Driskill Hotel Find us in front of the Driskill Lobby entrance for free URB-E rides and info about URB-E! Join our ridealong from 1-2:30pm! 1:00-2:30 pm URB-E Ridealong, starting at the Driskill Hotel Experience how quickly URB-E gets you from A to B as we explore downtown Austin together. 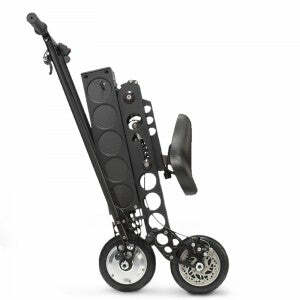 Email jess@urban626.com to guarantee your spot on a demo URB-E! 3:00-4:30 pm WeWork and Amazon Launchpad URB-E Derby, 600 Congress Ave URB-E obstacles, contests, and games! Swing by WeWork to test your URB-E skills and watch the competition. 11:00 am-3:00 pm URB-E Test rides at the W Hotel 12:00-3:00 pm Test rides at the Driskill Hotel Find us in front of the Driskill Lobby for free URB-E rides and info about URB-E! 5:00-7:00 pm URB-E Party at Clearport, in partnership with Amazon Launchpad Free drinks, URB-E giveaways, and more! RSVP only for entry, get your name on the list here. 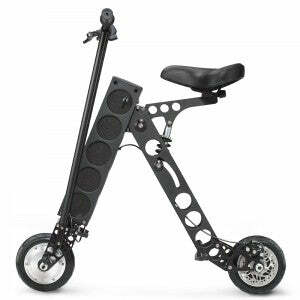 11:00 am-3:00 pm Test rides at the W Hotel Stop by for a free URB-E ride and a chance to meet the URB-E team. 12:00-4:00 pm Test rides at the Driskill Hotel Find us in front of the Driskill Lobby for free URB-E rides and info about URB-E.
11:00 am-3:00 pm Test rides at the W Hotel Stop by for a free URB-E ride and a chance to meet the URB-E team. 12:00-4:00 pm Test rides at the Driskill Hotel Find us in front of the Driskill Lobby for free URB-E rides and info about URB-E. -- FYI - if you need to park your car in downtown Austin, LUXE Valet will be using URB-Es to get to you wherever you are! All events subject to change. Follow us on Intagram @urberides for up-to-the-minute information.